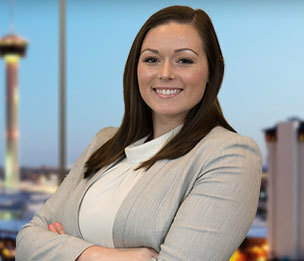 Kelly Depew Metz is a real estate associate in Dykema's San Antonio office. Mrs. Metz focuses her practice on transactional commercial real estate matters. Mrs. Metz works with both landlords and tenants, and buyers and sellers of large-scale commercial projects. Mrs. Metz is experienced with negotiating and drafting purchase contracts and related closing documents, real estate loan documents, commercial leases, and AIA construction contracts. Mrs. Metz also performs complex real estate research and various forms of transactional due diligence, including title and survey review and analysis. At Baylor Law School, Mrs. Metz served as Managing Executive Editor of the Baylor Law Review. In her first year, Mrs. Metz received the Public Service Award for Most Pro Bono Service Hours. Baylor Law inducted Mrs. Metz into the Order of the Barristers, and selected her for four separate advocacy teams, including moot court and mock trial. Mrs. Metz wrote an appellate brief and presented oral arguments in front of the 3rd Court of Appeals in Austin, Texas, and won the 2015 Mack Kidd Administrative Law Moot Court Competition and Best Oralist. You Get a Notice! And You Get a Notice! Everyone Gets a Notice!